Google was aiming for validating and improving the local search engine results for a long time and finally the launch of Google Pigeon bears the proof of its concerns. Yes, Google Pigeon is first of its kind algorithm update which is entirely aimed at local search engine results. Though the update is named as Pigeon by the observers mainly and not the Google, it expresses a similarity with the earlier regular updates like Penguin or Panda which are aimed for general search engine results as a whole. Though we still cannot envisage the impact of this algorithm on local businesses and search results, it can prove to be a big push towards more quality driven local SEO practices. 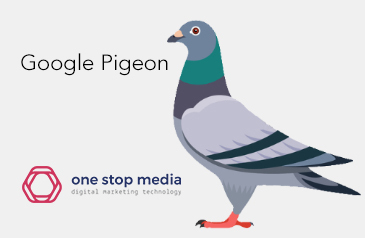 How Google Pigeon can affect local business and search results? This algorithm update is more about setting local search engine trends rather than just punishing derogatory local SEO practices. At least in the first week of its release it made us think so. For local business listings fortunately it is going to render some positive effects. Particularly local business directories are going to be benefited most from this algorithm update. Generally search engine results begin with a list of carousel results followed by a list of organic results. Now with these carousel listings various local directories also show up offering more search option for the users. But previously these directories were not regular feature in any search query. Thanks to Google Pigeon it is now going to be more regular with every search. Though we are not particularly sure on this aspect, it seems Google is gearing to make the search results more optimised by focusing on ‘search within search’ categories. From now on you may expect a slightly amplified focus on niche listings related to your query and more acutely location specific data. Google for quite some time is working to leverage the optimum benefits of location specific search results and this update is a step forward to that goal. We have experienced that certain business niches in Google search results enjoy a better optimised local results than others and nobody could expect any explanation except the volume of search queries and business listings playing a role. But now with this new update going deeper into the listings and directories, we can expect a gradual minimizing of the difference in focus among various business niches. Will they be? And how far? We are still not sure how spam business listings are going to be affected by this new algorithm update. But obviously it is just the initial phase in Google’s committed drive towards making local search more optimised and user specific and a push on the spam local rankings seem imminent after this new update. Though already some changes in the local business listings are showing up, still a lot to analyse and see to come to a verdict on the expanse of effects that Google Pigeon rendered in just one week after the launch. It seems a positive update driven more towards rewarding local directories than punishing derogatory paid ads and spam listings.